As I've mentioned in previous posts, our 7 year old son is a huge fan of trains. We are very lucky to be living so close to Walt Disney World, where he can ride on two different railways on a regular basis. 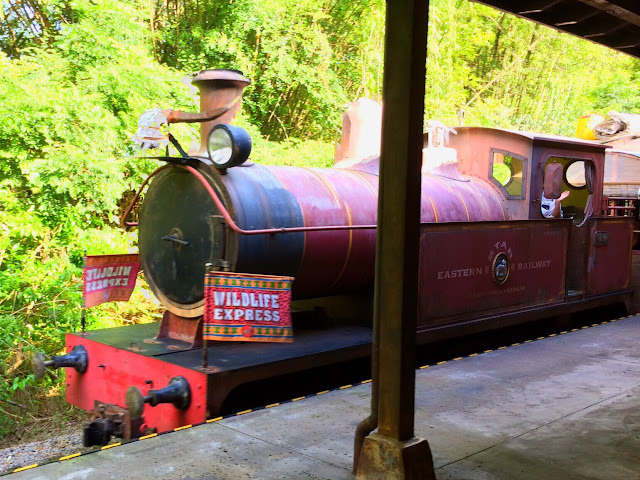 The steam engines at the Magic Kingdom have always been his favorites. However, more recently, he has really enjoyed trips on the Wildlife Express at Animal Kingdom. Although this locomotive runs on diesel fuel, it is made to look like an old steam engine. It's primary purpose is to transport guests to Rafiki's Planet Watch, but we typically just opt for a round trip journey on the train.